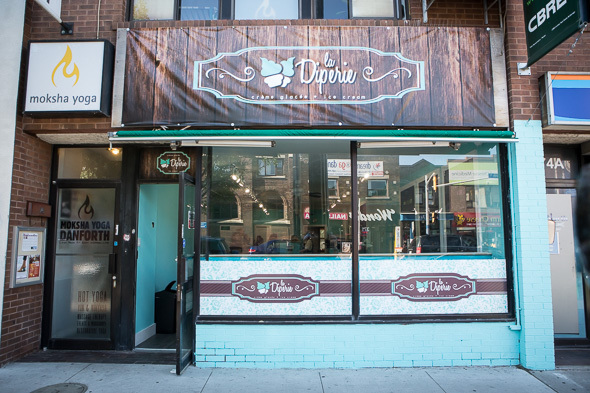 La Diperie is already a soft serve sensation in Montreal where it operates four locations. 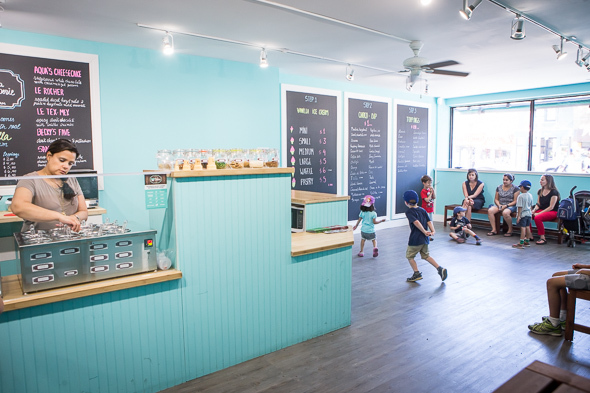 Now Toronto has its very own location too. 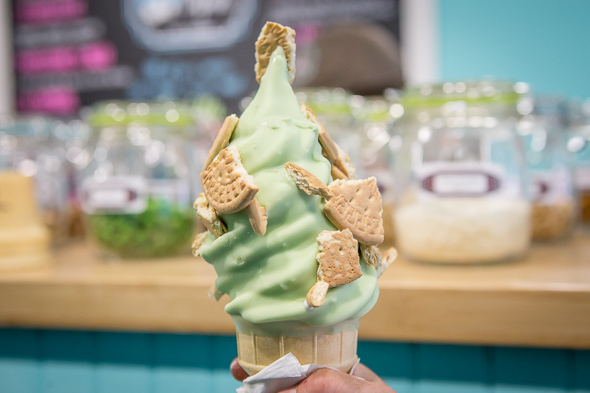 The super cute Tiffany blue shop, from owners Francisco Landaeta and Sam Arif, has already been open in La Belle Province for three summer seasons and it's joining Toronto's booming, yet outrageous ice cream scene. Among its distinguishing features is the fact that it sells only vanilla soft serve. 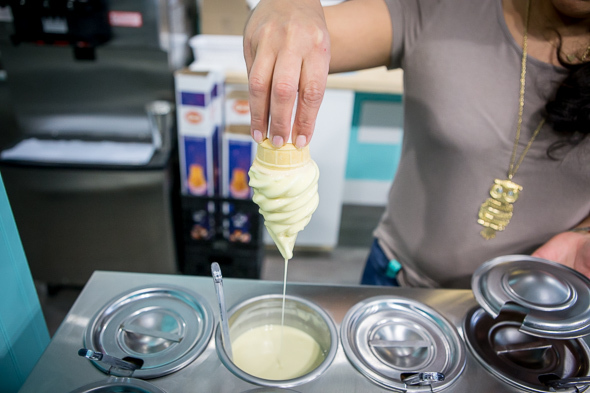 But this ice cream is ultra-thick and creamy and forms perfectly firm peaks as it swirls out of the machine. The fully customizable menu is another unique attribute. 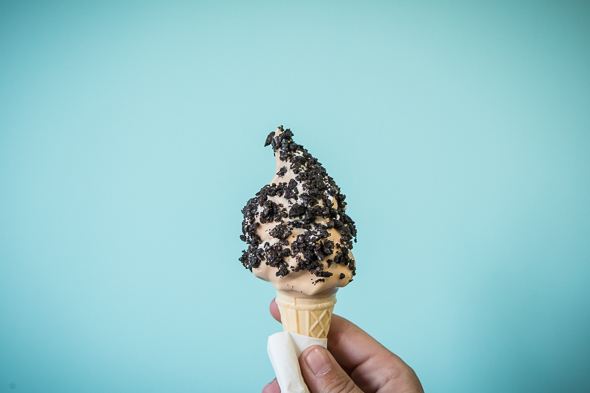 Selections start with your choice of cone, which go from $1 for a mini cone to the obscene large ($5). 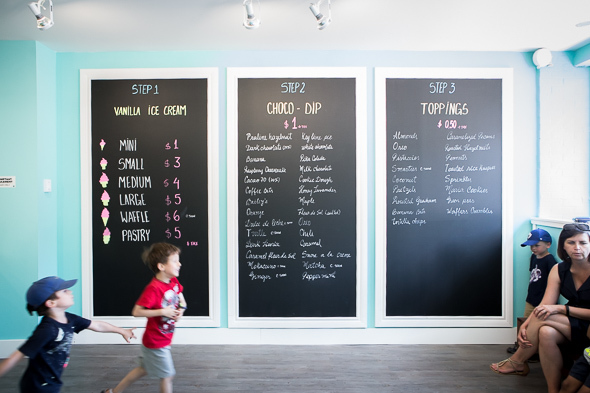 Additional options include a waffle cone ($6) and a hot puff pastry cone ($5). 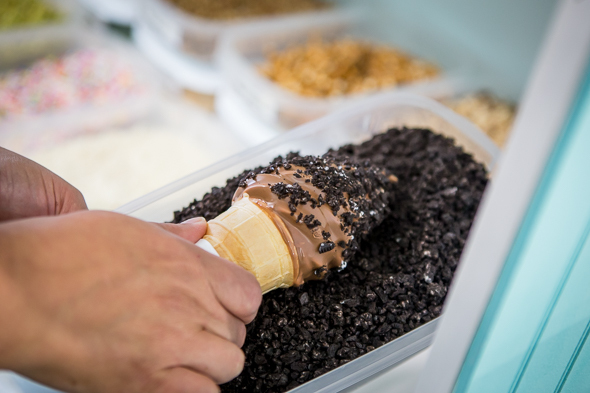 From here, each cone can be dipped in one of the 20-plus molten chocolate-based coatings (+$1) which are then rolled through your choice of any one or two (one on each side) toppings (+$0.50). The dips each start with a white chocolate, milk chocolate or dark chocolate base and are available in relatively plain flavours as well as some more adventurous ones, such as caramel fleur de sel, honey lavendar, chili chocolate and matcha. Toppings-wise, there are nuts, crushed cookies, pretzels, waffle crumbles, toasted Rice Krispies, banana bits, tortilla chips and green peas. Need a little inspiration? The house has some suggestions. 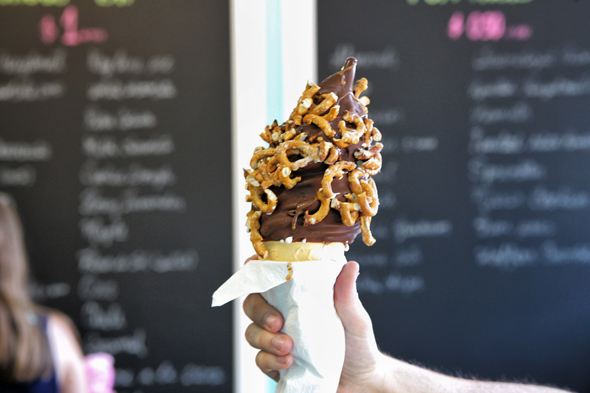 L'Apres-Match gets a dip in dark chocolate ganache and is then finished with pretzel pieces and caramel sauce. Cally's Key Lime Pie takes a quick dip in a bath of lime-flavoured white chocolate and is then peppered with cookie crumble. 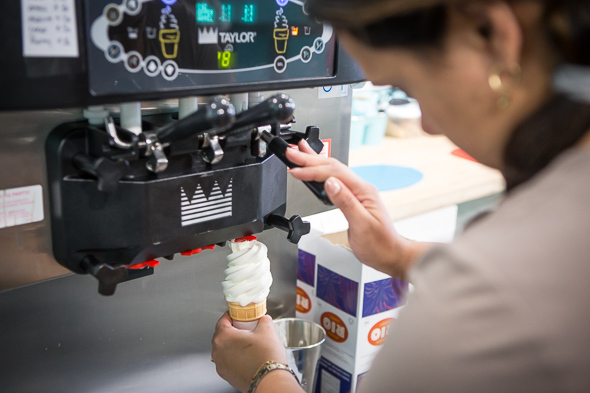 The flavour combinations are practically limitless and with the option to enjoy wee little cones for a mere $2.50, the opportunity to actually finish one of these treats might actually materialize. La Diperie is cash only. Come prepared.